Moisés Valle, a charismatic and genuine Cuban son singer with a peculiar vocal registration and a great improvisation ability, shows at the stage all the vigor inherent to the Cuban popular contemporary music. 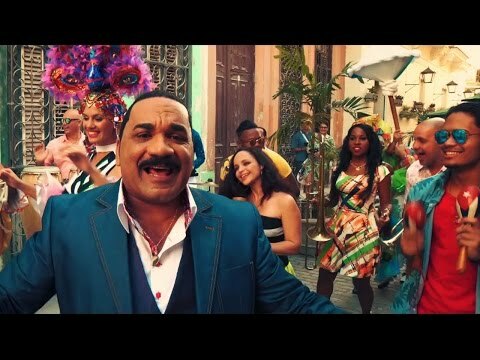 Moisés Valle, known as "Yumurí", the stage name given to him by Master Elio Revé, comes from a family with a sound musical background in Havana. In 1987, he began his professional artistic career and a year later he joined, as a singer, the renowned and popular Revé Orchestra with which he performed for four years. In September 1992, after those experiences and willing to enlarge his artistic projection, Yumurí decided to create his own orchestra together with three of his four brothers who were also musicians. Since then and up to now, "Yumurí y sus Hermanos" have continuously held the first the hit parade `laces of the Cuban radio and television programs. With his singular way of playing the son and salsa genres, Yumurí has successfully performed in Japan, Europe, Mexico, Colombia, Ecuador and Jamaica, among others. 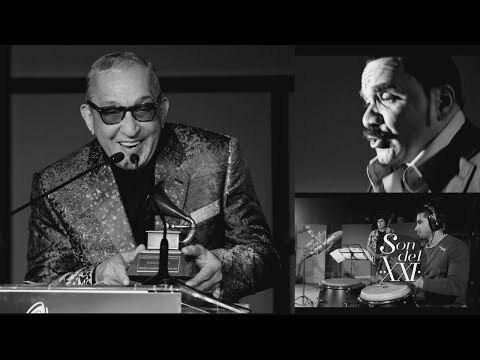 He has shared the scenario with artists of the stature of Oscar D´ León, Tito Puente and his Orchestra, Compay Segundo and the Luz del Japón Orchestra. Due to his remarkable interpretative qualities, Yumurí was invited to participate as soloist in the CUBANISMO project, by Jesus Alemañy, during the 1997 summer tour and in the CUBA TROPICAL show, successfully presented in 20 Japanese cities in 1997. As composer, the work of Yumurí is also meritorious. His compositions have been recorded by international artists and orchestras such as Oscar D´ León, Willie Rosario and Los Hermanos Moreno. In 2004, the 20th anniversary of Yumurí´s professional career was celebrated in a touching concert at the Casa de la Música de Galiano in Havana, where "Yumurí y sus hermanos" also promoted their fourth discographic production entitled "Bilongo". The repertoire chosen by Yumurí for this concert, where he was able to display his professionalism, included themes popularized in his voice since the beginning of his career as well as some of his own compositions turned into hits in radio and television programs for more than ten years. Considered by the specialized critic as one of the most important son performers of the new generation of Cuban interpreters and composers, Yumurí successfully continues his artistic career: in 2003 he was nominated to the Grammy Award for his participation in the record entitled "Tremenda Rumba", by his brother Orlando Valle "Maracas" and his record "Bilongo" was nominated to the Cubadisco Award, a prestigious international event held in Cuba. Enjoying a national popularity that evidences his talent and an international experience in several continents, "Yumurí y sus Hermanos" continues their professional career already inserted in the history of contemporary popular music.